Taja is such a perfect little lady, former puppy mill breeding mama, was happily adopted with 3 of her children and enjoying life from the front seat of her mom's minivan! Yes, Rottweilers tend to be more direct or assertive than other breeds, but how can you tell if your dog or the dog you plan to adopt is too aggressive? Ask yourself these questions? * 1. Does your Rotti growl at you, when you tell it to do something? * 2. Does your Rotti growl at you when you correct it for bad behavior? * 5. Is it uncontrollable when it sees certain people or other dogs during walks? * 6. Are you afraid of your dog? * If you answered "yes" to even one of these questions, you need help, now. Call a professional dog trainer who understands and has experience with the Rottweiler breed as soon as possible. 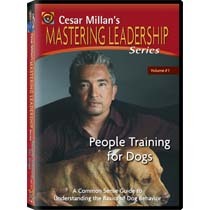 Cesar knows dogs are smart, and it's really the humans that could use some training! The ATTS patterned after existing tests in Germany, Sweden and Denmark was founded in 1977 by Alfons Ertel. The ATTS tests on a dog's temperament, shyness, aggression, friendliness, stability and protectiveness. The tests are breed specific, so that A Rottweiler won't be expected to respond the same as a Chihuahua, which is fortunate, considering Chi's are very prone to bite first and ask questions later! This professional organization conducts listed dates and locations. Contact them for specific information or for a testing location near you. Here's a summary of the 10 sections of the ATTS, the dog must past all sections. For a complete description of the test, contact the ATTS. Behavior toward strangers- This section of the test evaluates the dog's reactions to strangers in a non-threatening situation. * 1. A stranger approaches the owner, shakes hands and engages in conversation while ignoring the dog. The purpose of this is to evaluate the dog's reaction to passive socialization and it's protective instinct. * 2. A stranger approaches happily and briskly, is frinedly to the dog and pets the dog. The purpose of this is to evaluate the dog's active social skills. * 3. Hidden Noise- A person who is hidden from the dog rattles a metal bucket containing rocks and then sets the bucket in front of the dog and owner. Thistests the dog's alertness, curiosity and possible sound sensitivity. Reaction to Visual Stimulus:- This portion of the test evaluates the dog's reaction to sudden sights.  * 5. An umbrella is opened suddenly about five feet in front of the dog. 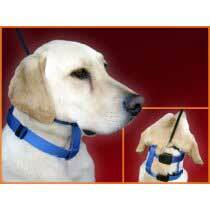 This tests the dog's alertness, curiosity and possible sight sensitivity. Tactile Stimuli- This evaluates the dog's reaction to unusual footing. * 6. Plastic Footing- The dog and owner walk the length of a 15 by 6 foot clear plastic strip. This tests the dog's reactions to the plastic strip underfoot while in the presence of the owner. * 7. Wire Footing- The dog alone walks the length of an unfolded 12 by 3 foot wire exercise pen. This evaluates the dog's ability to walk alone on the unfamiliar footing; to measure it's sensitivity to the unusual footing; and to recover from the unusual. Self Protective and Aggressive Behavior- These sections of the test measure the dog's ability to recognize and unusual situation, it's threshold to provocation, it's protecting instincts and it's ability to realize when the situation becomes a threat. * 8. Non-threatening:- An oddly dressed stranger (often in oversized clothing or ski masks) crosses the dog's path 38 feet away. This tests the dog's alertness to an unusual situation. * 9. Threatening- The same stranger advances 10 feet toward the dog and owner in a threatening manner. This evaluates the dog's ability to recognize when the situation changes to one of a potential threat. * 10. Aggression- The same stranger advances aggressively to within 18 feet of the dog and owner. This tests the dog's protective instincts. By nature and breed standard the Rottweiler is somewhat aloof initially, may not welcome overly familiar advances from strangers and may exhibit warning growls if handled improperly. This is normal behavior and we consider it unrealistic to expect anything different. Dogs are dogs and they often behave like dogs. When you first meet a new animal if you treat him with the same respect & distance that you would a human stranger you will go far in more quickly winning that animals' interest & trust. On the other hand it's unacceptable, arrogant and not very wise to be overly familiar, touchy, huggy or exhibit any of the other ludicrous human behaviors included among many temperament tests. These unrealistic expectations of stressed, strange animals in unfamiliar environments are inaccurately placing labels on them that enable "shelters" to kill them. Make no mistake about it, The Human Society is a huge, multi billion dollar corporation, fueled by public contributions. Naturally, it's crucial to be reasonably certain whether a particular Rottweiler is going to blend well with your family, environment, energy levels, circumstances & expectations. That's part of our Adoption process, to responsibly match you with the most appropriate Rottweiler for your particular environment, considering your energy level, how much time you have available, your personality, family activities, other animals and many other factors......At times there may be several Rottweilers that would blend with your circumstances, other times we may not have a suitable Rott for you. Our primary commitment, obligation and duty is to find each Rottweiler his exceptional home, our secondary rewards are the happy humans who love them, spoil them and share their stories & photos with us. Good Dog Treats, that's me, right? Pooches prefer quality treats and will respond much better with tasty morsels like these. Some of our Rotties that arrive at our door are owner surrendered where we have a chance to witness owner/dog interaction or come to us from various shelters or other rescues, where a minimal amount of evaluation is accomplished in a stressed environment and hurried atmosphere. Our criteria BEFORE we accept any dog, is that they absoloutely MUST not show true aggression with humans and not have any known, true dog aggression. We don't disqualify an animal because they are terrified of humans, their former treatment, or food aggression, since this is often "situational" to shelters and/or numerous other stressed and starving dogs...It's also easily correctable in most cases. We also don't disqualify a Rottweiler because he has a bite history. Often the details surrounding the "bite" are murky and unsubstantiated. However, if there is a reported bite incident, we fully disclose all known details. 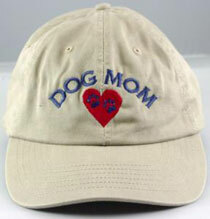 Our most important concern is to match suitable companion Rotties with their permanent family. It's therefore important, through communication, to realistically evaluate the human family needs with the appropriate Rottweiler personality. Obviously dogs are individuals and none more so than Rottweilers, so it would be a disservice to place a high energy Rotti into an inactive, mostly homebound lifestyle, and on the other hand, a lower energy dog would be equally unhappy in an active, outdoor, camping, swimming, boating lifestyle. At any given time we have quiet, adult Rotties of both genders that want nothing more than to be "VELCROROTS", and by contrast, we generally have some very high energy, robustly athletic, curious males and females that will stick by your side, but adore the more active lifestyle. Due to the nature of "rescue" some dogs are with us for quite some time, while others visit only briefly. Our "permanent" dogs have come to accept and welcome "the guests" and interact with them on a daily basis. Not ALL personalities are always compatible, or it would be too chaotic, even for us, to have ALL dogs running around loose, so even while we live on acreage, all Rotts are in large runs when we're not at home. We rescue Rotties for the passion for the breed and not as a business, so a couple of our permanent dogs do accompany us to work on a daily basis. 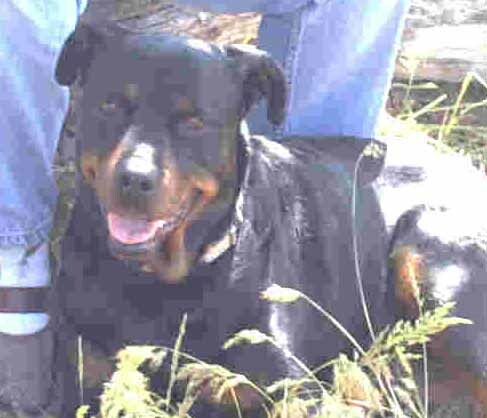 By the way, ALL of our permanent Rotties are adopted, they are not the cream of the crop when they come to us...They become permanent because they have made that determination, they are too sick, fat, old, too much prey drive, unhealthy or petrified to be with other people and so they choose us. We are a multi dog family and love it. Any time there are three or more dogs you are living with a pack, dynamics will change and you need to be aware of what those changes mean to you, the other dog family members, children, guests. We deal with this in depth during personal Emails. Tests that would be performed upon initial introduction are considerably different than those that would be expected a few days, weeks or months later, so the ones listed below would be are what our expectations would be of a Rescued Rottie within the first 24 hours, but NOT within the first few hours of arrival, and sometimes not for much longer time. Sometimes we feel part or mostly Rottweiler ourselves, the rewards of rescue have taught us so much about them. We handle more dogs of a single breed in a month than prolific dog owners encounter in a lifetime, so it's enabled us to be hyper-aware of many non-verbal cues that might otherwise easily be missed. * croaching, cowering or chest out stance, moving away from us. We never approach them, we allow them to make the first move. IF by some chance they haven't invited us to pet them, then WE DON'T PET THEM. It's amazing how many people don't understand that, by nature, Rottweilers are ALOOF and cool toward strangers, they evaluate to see IF they want a closer association. We don't know their circumstances or what baggage they bring with them. For us a simple introduction is a success, we've asked nothing of them, respected their space and have made ourselves available if THEY choose to interact. We also happen to have a treat or two available for them. This is what we mean by letting them set the pace. By all means don't HANG over them, hug or kiss them. The vast majority of Rotties, even while seriously underfed, in poor condition AND arriving from KNOWN abusive situations will still seek affection FIRST AND FOREMOST! loads of water second and waaaaaaaaaay down the list does food have any importance. If a "guest" is exhibiting any signs of discomfort, fear, or other body language that would indicate stress, we put him in his run with plenty of food and water and leave him ALONE.. In the meantime, we'll use this time frame to go about daily chores within his vision, softly talking to him, but otherwise not focus any attention on him. This cooling off adjustment period works wonders for even the most nervous arrivals and they're soon bounding around and very much seeking affection. Once again, we're still NOT BEST BUDS, that honor requires a commitment of time and effort, but the initial introduction is over with. Our other Rotti guests help these guys understand that we're OK, they happily bark out their endorsements and the new guy normally catches on. Some dogs will take months before they are comfortable and cuddly with us. By moving slowing and in their time frame the connection is much better than forcing ourselves on them. *Within our 1st 24 hour time frame, AFTER INTRODUCTIONS, we like to be able to gently stroke the dog, always aware of any troublesome signs, stopping if necessary and proceeding if there aren't any alarms. We like to be able to hand feed him, we like him to sit when requested, we like him to sit when presented with food, we like to be able to scratch his back, check his paws, look in his mouth, ears and rub his tummy if it's offered. The importance of this not feeling like an onslaught, but rather friends getting to know each other is important. *Once confident that our new arrival is generally good with people, we like to watch his general reaction to all the animal life around him, and there's plenty! He will have arrived home to a thunder of barking, horses running around, cats darting around, Llamas watching the action and a pot belly pig oinking for dinner!. If a dog is severly underfed we let him room alone, but within sight of friends and have all the food he can handle. During feed time any indication of food aggression toward other animals will surface if it's going to, and it's not uncommon in a rescue or shelter environment. * Now that we can handle the new arrival, pet him while he eats, hand feed him and put our hands in his food bowl, we're comfortable that for all pratical purposes we have a non human aggressive dog. When our guest can lodge with another Rotti, play and frolic, eat from within the same run, drink from the same water bowl, we feel comfotable that for the most part, it appears we have a non dog-aggressive dog. Dogs are indivduals and will get along better with some dogs then with others, some are such loves they get along with everybody! Sometimes a shelter or rescue environment will allow a dog to exhibit aggression that it wouldn't normally have IF it were getting the undivided attention it desrves and would have in a family situation. Those dogs we isolate from other dogs. *We always caution new adoptive families to PROCEED SLOWLY, only let adults give commands, foods or treats to new dogs, since the size of the child may not earn respect in the dog's eyes, this is overcome with training and time. You need this mom, so we both look great! Just one click below on "Petfinder Pages" and you'll conect to all current listings! Thanks for your visit, please stop by again! Rotts and Cats can be a good combo. Happy Tails Newsletter will be offering exciting training tips, educational, natural health information and specials on our WildCrafted & Natural Farmacy collections, formulated for Mutts & Men, Nags & Hags, Fillies & Friends & Ewe Too! Experience the fragrant botanical and gentle herbal Tinctures, Body Butters, Essential Oils, Salves, Coat Spritzes, Bio Magnetics and more, all with zero harsh toxins and synthetic ingredients. Safe Journey and Happy Tails until we meet again! A great collar that Cesar Milan uses! All donations of building materials, used vehicles or other gifts are also considered Tax Deductible. This may be your chance to show generosity while enjoying tax deductions. We appreciate your gifts of support.